Tax Resolution is a service that helps you resolve your open debt with the IRS in a way that minimizes the debt as much as possible. Tax Resolution includes a variety of services and goes by different names: IRS Representation, Tax Problem Recovery, Tax Resolution, and Tax Controversy. Dealing with the IRS and/or State Taxing Authorities can be daunting and time-consuming. If tax troubles are weighing you down, I can help you with navigating the system and getting the results you want. As an Enrolled Agent, I am federally licensed tax practitioners to represent taxpayers before the IRS when it comes to collections, audits, and appeals. Enrolled agents are the only federally-licensed tax practitioners who specialize in taxation and have unlimited rights to represent taxpayers before the IRS. 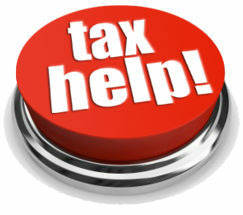 Ready for tax resolution help?